JK Mechanical uses a secure online payment processing system to protect your information. 24/7/365, JK Mechanical provides all your home comfort services to our friends and neighbors throughout Lancaster, York, Harrisburg, Reading, West Chester, Coatesville, PA & the surrounding areas. JK Mechanical specializes in HVAC. We offer full-service heating, cooling, and ventilation installation, maintenance, and repairs, both for residential and commercial applications. Looking for an electrician? Look no further! Our licensed and certified electrical experts are ready to help you with everything from simple installations to entire-home rewiring. Plumbing is one of the most important components of any building, residential or commercial. Plumbing issues can lead to bigger problems if they aren't addressed immediately and effectively. You can count on JK Mechanical! Our solar team is ready for your next project, regardless of size! We're the local experts in energy efficiency and solar power solutions. JK Mechanical provides a wide range of commercial and residential services in Lancaster County and surrounding areas, offering a trustworthy and convenient source of installation, seasonal maintenance, and repair. By combining a team of certified plumbing, electrical, heating, cooling, and air quality specialists, we are always the right answer to any challenge. We make it easy to get the help you need. Targeting comfort, security, and affordability, we handle every project with prompt action, swift turnaround, and lasting results. Contact JK Mechanical at 717-925-8934, and we’ll send a highly trained, dedicated, and uniformed professional to your door. Call JK Mechanical for expert HVAC, plumbing, electrical & air quality services! Browse our smart energy solutions, from geothermal, solar, and hydronic options, to standby generators and building automation systems. We provide exceptional products and skilled services to simplify your life, trim operational costs, and create greater comfort. 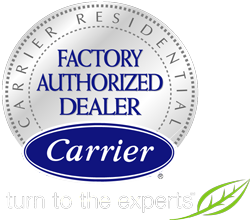 As a Carrier Factory Authorized Dealer, our team receives regular updates and upholds strict standards of expertise, business ethics, and customer approval ratings. Our focus is always your satisfaction, and we earn it through superior customer service and job performance. JK Mechanical is always available to offer assistance, 24 hours a day, 365 days a year, with Emergency Service throughout Lancaster, York, Harrisburg, Reading, West Chester & Coatesville, PA.
Make sure that your home continues to stay comfortable, even during a power outage. At name, we provide professional and quality generator installation, repair, and maintenance. 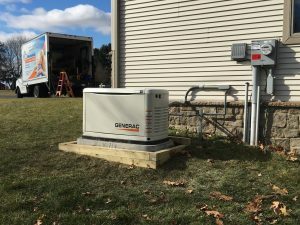 Our customers that we serve throughout Lancaster, York, Harrisburg, Reading, West Chester & Coatesville, PA love their new generators, and have been extremely happy with our installation services. Click here to learn more!